they are all powered by social mood; The Socionomist shows you how so you can prepare for what’s ahead. No thinking person should be without this magazine. One-year subscription value: $300. Pioneering Studies in Socionomics (2003) – Read a rich collection of case studies from 20+ years of research. Value: $39. The mainstream cannot bring you these insights. Not because they don’t want to, but because they simply aren’t equipped to do so. Start seeing the world differently now. Socionomics Members learn to see the world differently through the insights of this pioneering team of socionomists. Robert R. Prechter, CMT, is known for developing a theory of social causality called socionomics and for his long career applying and enhancing the Wave Principle, R.N. Elliott’s fractal model of financial pricing. 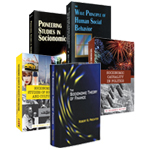 Prechter has made presentations on socionomic theory at the London School of Economics, the University of Oxford, the University of Cambridge, MIT, Trinity College Dublin, Georgia Tech, SUNY and various academic and financial conferences. 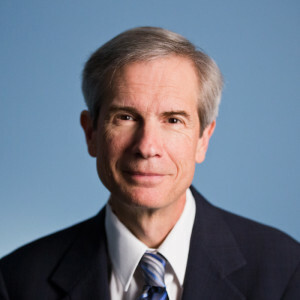 In 2005, Prechter created the Socionomics Institute, which is dedicated to research and the application of socionomics, and the Socionomics Foundation, which supports academic research in the field. Prechter graduated from Yale University in 1971, joined the Market Analysis Department of Merrill Lynch in New York in 1975 and founded Elliott Wave International in 1979, where he has published monthly market analysis in The Elliott Wave Theorist. Prechter has served as a member of the board of the Market Technicians Association, as the MTA’s President in 1990-1991 and as a member of the advisory board of the MTA’s Educational Foundation. He is a member of the Triple Nine Society and the Shakespeare Oxford Society. Prechter has authored, edited or contributed to 18 books. Elliott Wave Principle: Key to Market Behavior has been translated into a dozen languages, and Conquer the Crash: You Can Survive and Prosper in a Deflationary Depression was a New York Times bestseller. His latest work, The Socionomic Theory of Finance, aims to replace conventional financial and macroeconomic theory with an internally and externally consistent paradigm based on socionomics. 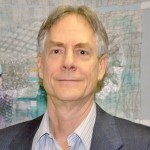 Alan Hall is a senior analyst for The Socionomist. He began studying Elliott wave analysis and socionomics after meeting Robert Prechter in 1994. Hall’s grasp of socionomics made it easy for him to recognize the escalating housing mania, thus he closed his homebuilding business in 2004 and soon joined Elliott Wave International. Hall wrote the lead articles for the inaugural issues of The Socionomist in May and June 2009. Since then, his research has showcased the wide range and deep applicability of the socionomic perspective. He has also lectured on socionomics in the U.S. and Europe, and he has contributed to Global Market Perspective, The European Financial Forecast, The Elliott Wave Theorist and The Socionomic Theory of Finance. Chuck Thompson has spent more than a quarter-century studying and writing about personal finance and cultural trends. He also served as a writer and editor in the radio and newspaper industries for eight years prior to making the jump to finance. 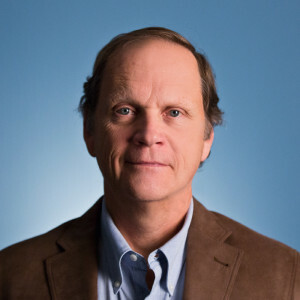 Chuck joined The Socionomist in September 2010. His published research spans international relations, popular culture, politics, business, science, religion and more. He is a contributing author to The Socionomic Theory of Finance. Robert Folsom is the host of the Pop Trends, Price Culture podcast. He has covered politics, popular culture, economics and the financial markets for more than 25 years, via print, radio, video and digital content. His columns have appeared on Marketwatch.com, FOXNews.com, FinancialSense.com, and SafeHaven.com. Robert has served as a writer and editor with Elliott Wave International since 1992. From 2000 to 2007, his 5-day per week blog on elliottwave.com built an investor readership of some 70,000, who read Robert’s unique perspective on everything from media follies to mass psychology to underreported facts about investing. He earned his degree in political science from Columbia University in 1985. Ben Hall researches for The Socionomist and manages back office operations and external correspondences at the Socionomics Institute. He curates the Institute’s website and weekly email newsletter. 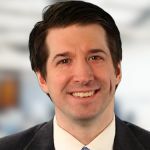 Hall joined the institute in early 2008 after completing a degree in sociology with a concentration in history from Western Carolina University. His research interests include cultural trends, politics and social causality, and he is an avid ping pong and tennis enthusiast who enjoys exploring the culinary arts. Matt Lampert is a graduate of the University of Cambridge and has spoken about socionomic theory throughout the US and Europe. He is also a board member of the Socionomics Foundation and a contributing author to The Socionomic Theory of Finance. His research has been supported by the National Academy of Sciences with funds from the National Science Foundation, and his work has been featured by USA Today, CNBC, the Associated Press and other popular news and scholarly publications. Alyssa Hayden is a graduate of Oregon State University where she studied immigration, language and education. In 2008, she joined Elliott Wave International and the Socionomics Institute as a writer and editor and now serves as the Institute’s executive director. Hayden is a board member of the Socionomics Foundation and a contributing author to Socionomic Causality in Politics.